Over the following two weeks Jewel was loaded with stores and the final preparations were made. 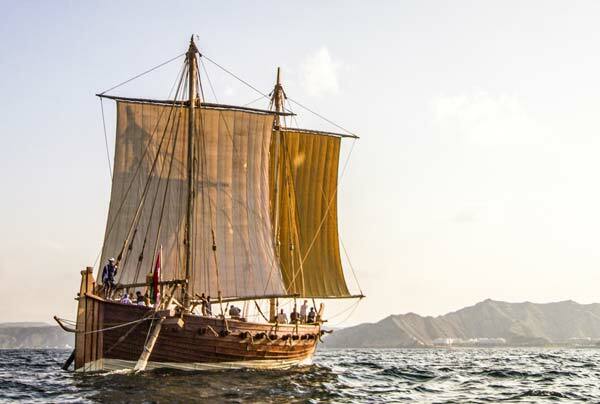 Then at exactly 12 noon on February 16th or the 1st of Rabie Al-Awwal 1431 AH, Jewel slipped her moorings to begin the first leg of her epic voyage to Singapore. Large crowds cheered her on her way as she was given a spectacular send off under the patronage of His Highness Sayyid Shihab bin Tariq Al Said, and in the presence of large numbers of officials, diplomats, students and families of the crew. The ceremony included folk dancers, songs, music, and the loading of traditional supplies, all in the style of time-honoured rituals for a ship departing on such a challenging journey.